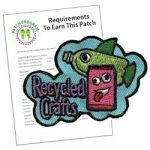 Recycled Crafts Patch for troops or other groups using recycled materials while crafting. 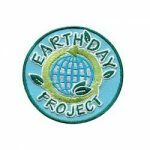 Need inspiration to get your group started? 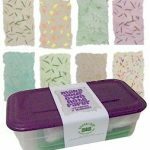 Take a look at our free suggested requirements and our page Recycled Crafts. 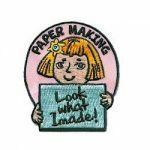 You’ll be proud to say “Look what I made!” when you get a chance to make your own paper. 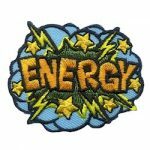 This patch will be a cute reminder of your fun crafting experience. Girls of any age can learn about women’s history. 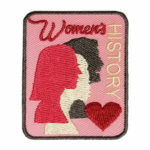 This patch from MakingFriends®.com will show your girls have learned about the many influential women who came before them.